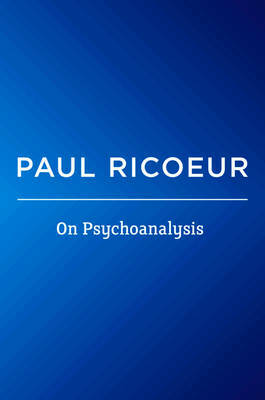 Paul Ricoeur's Freud and Philosophy was a major reinterpretation of psychoanalysis and its philosophical significance, but Ricoeur also wrote many important articles on similar themes. This volume makes available some of his key writings on Freud and psychoanalysis: together with Freud and Philosophy, they form a major part of his philosophical legacy. What kind of science is psychoanalysis? What kind of truth does it offer and what kind of proof does it provide? What does the concrete practice of psychoanalysis consist of? What can it tell us about creativity and the work of art? What is its place within our culture and how can it transform culture? What is the role of narrative in psychoanalysis? Ricoeur reading Freud: this could have been the title of this volume, in which the focus is on the actual work of Freud and not on subsequent commentaries. An open reading of intellectual integrity. A critical reading which shuns definitive positions. A reading to understand Freud. This book - the first volume of Ricoeur's writings and lectures - brings together texts which appeared between 1966 and 1988. It is published under the auspices of Le Fonds Ricoeur.